Christmas is just around the corner and we here at 3dprintingforbeginners.com are getting into the festive mood. As this is the first Christmas where we have a 3D printer in the house, I wanted to figure out how to put it to use with the festive season in mind. As I always like to bake around Christmas time, I decided to create some Christmas cookie cutters using our Ultimaker 3D printer. I played around with different ways of designing the cookie cutters. In the end, I used two different techniques which I want to share in a two part blog post. 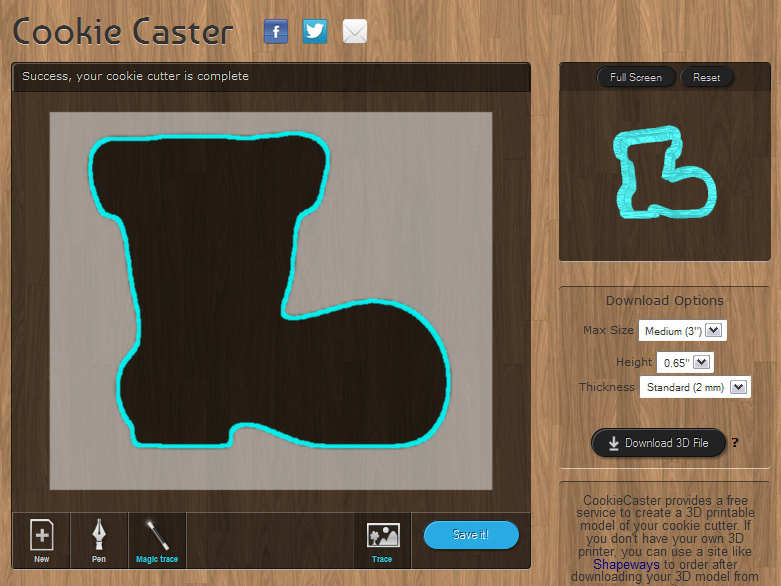 For today’s post I want to focus on how to create cookie cutters using cookiecaster.com. Cookie Caster is a super easy to use website that I wrote about in a previous blog post. 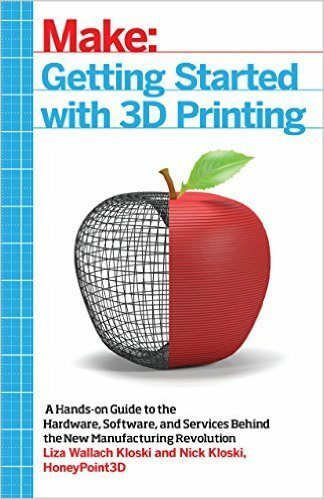 If you are new to 3D printing or do not have any 3D modeling experience this is where you should start: the technique is simple and guaranteed to give you good results in very little time. 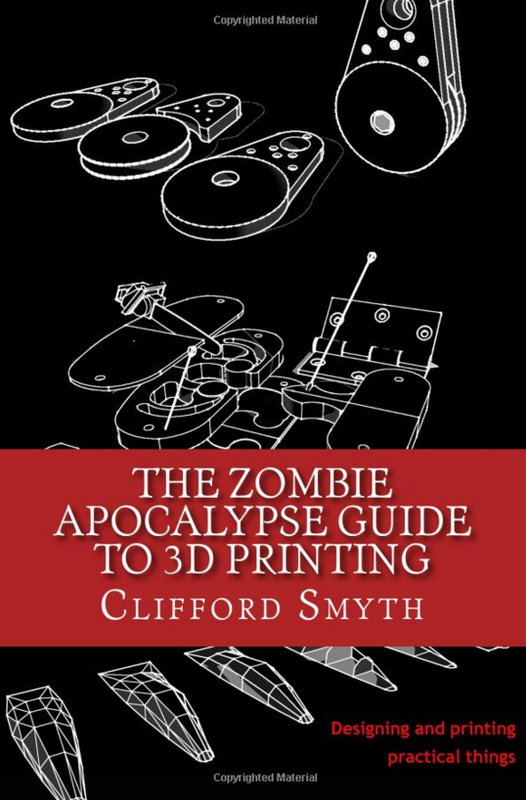 As with any 3D printing project, you first need to have some idea of what you want to print. As I intended to bake some cookies for Christmas to it was obvious that I would choose seasonal motives for the cookie cutters. I ended up buying the below image from Fotolia as it had several Christmas motives nicely regrouped. For the sake of this tutorials, I picked the image of a boot which I wanted to transform into a boot-shaped cookie cutter. Of course there are plenty of free images on the internet. 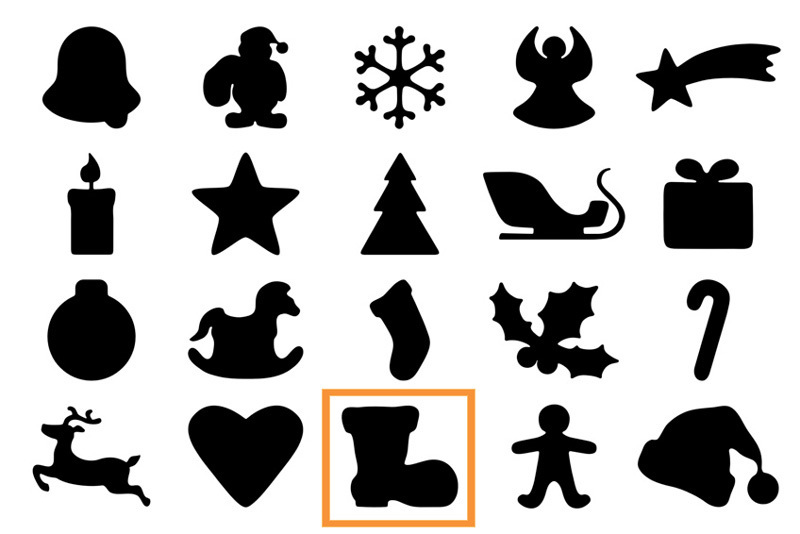 You can do an image search on Google using a keyword like “Christmas silhouettes”. Using silhouette images gives you the best starting point since these images already have clear outlines and only a black infill which makes them ready for use in Cookie Caster. A word of caution when selecting the images you intend to turn into cookie cutters: any design which has narrow wall distances will probably not work well as a cookie cutter. As shown in the image below, I tried to turn an image of Santa’s hat into a cookie cutter. The distance where the hat tapers into the bobble is about 4mm wide. When using this cookie cutter to slice through the dough this was hardly enough. As the dough was a bit sticky it tended not to come loose when I removed the cookie cutter thus breaking off the bobble each time. I still managed to get a few cookies cut out but I had to use a knife to carefully push out the bobble to do so. Go to cookiecaster.com and scroll to the bottom of the page where you have the cookie caster design interface. Click on ‘trace‘ and then on ‘upload an image‘. Navigate to where you saved the image on your hard-drive and upload it. Once the image appears on the cookie caster design interface, select the ‘magic trace‘ tool and click inside the dark surface of your image. You will notice that a blue line is traced along the outlines of the image. The extrusion of this blue line is what creates the cookie cutter. The little window to the right of the design interface is populated with a 3D preview of your cookie cutter. Using the right mouse button you can spin the object three dimensionally to see how it looks from different angles. The ‘download options‘ box lets you set the size parameters for your cookie cutter. For my boot cookie cutter I chose a medium size and a height of 65”. I was not too worried about the size I picked in this menu since I knew that would still re-scale the cookie cutter to the exact size I wanted in Cura (the Ultimaker slicing software) before launching the 3D print. The only final size I made sure to set at this stage was to pick the extra thin ‘thickness‘ of 1mm. This setting determines the wall thickness of your cookie cutter. Experience has shown that in order to cut out dough, a thinner wall gives you a sharper edge which makes slicing the dough easier. 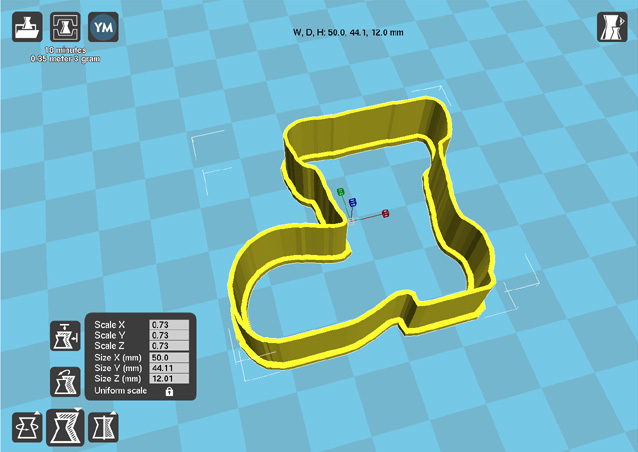 As a final step in Cookie Caster, click on the ‘download 3D model‘ button. This automatically creates an *.stl file, a format that can be read by an 3D printer software. I uploaded the *.stl file into Cura to prepare it for printing. Checking the size, I decided that a width of 68mm was a bit too much for much for my boot cookie cutter. I re-sized it to a width of 50mm and a height of 12mm. If you decide to make your own cookie cutters you may want to play around with the sizing a bit. I tried a few different sizes for the cookie cutters and figured out that a cookie cutter of roughly 50 x 50 mm generated cookies which I found to be reasonable in size but obviously that’s based on my personal preference. Having sized the boot to my liking, all I had to do was to launch the 3D print. 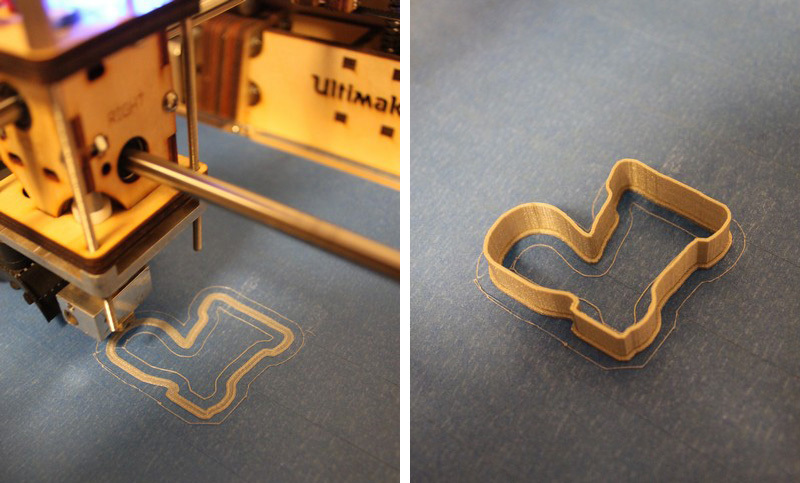 The specs of the boot cookie cutter 3D print: 0.35m/2.79 gr of PLA filament, print time: 22 minutes. All in all, creating the boot cookie cutter took me no more than half an hour. Of that half hour, 22 minutes went into the 3D printing process. Thus, using Cookie Caster you can churn out cookie cutters designs really fast and you don’t need any 3D modeling know-how to do so. Stay tuned for part 2 of this blog post where I go into a slightly more advanced technique to create another series of seasonal cookie cutters. Great post. I used cookiecaster.com and printed my cookie cutter at 1mm. There is some splitting in spots. Do you know what caused this? Thank you. We have not experienced the problem that you describe. Any chance that you could send us a picture to better judge what might have caused this? In any case, you may want to play with the wall thickness settings to see if that makes the problem go away.